Our mission is to enrich our congregation by instilling in our members, and especially our children, a love and responsibility for the earth and its peoples. Toward that end, we organize educational programs that promote the environment and social justice. Our programs reflect our Jewish values of caring for and repairing the world by helping those in need. Under the auspices of our Tikkun Olam Committee, we have a very active Higher Ground Initiative Committee. They work together with other Reform Congregations in South Florida to promote a community conversation to educate ourselves and our Jewish congregations on the Sea Level Rise Issue. By supporting these efforts we are helping to mitigate Climate Change and to make our communities more resilient to Sea Level Rise. An effort to “green” our synagogue and obtain the GreenFaith Energy Shield in the process. As part of this effort, and in conjunction with the Higher Ground Initiative Committee, we will be sponsoring a temple-wide weekend-long educational event on climate change this spring. All our activities are organized in conjunction with our Religious School students, several of whom are involved in planning and facilitating our activities. We enjoy great support from our Board of Directors and our rabbinical and administrative staff. The Religious Action Center of the URJ has also been an active supporter of our efforts. 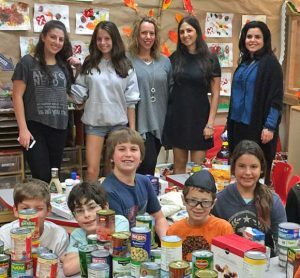 Email Stephanie Jofe and Scott Lewis, Co-Chairs of the Temple Solel Tikun Olam committee if you would like to make a difference.